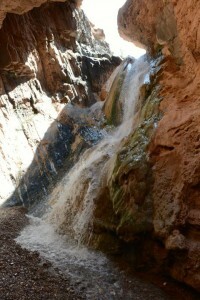 Have an UP CLOSE and PERSONAL Grand Canyon Experience! Best to do this adventure with some friends or family, (but you'll make new friends along the way). And talk about the scenery! How majestic? The variety of rock formations! 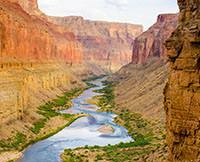 The view of the Grand Canyon from water level is one of a kind. Puts things in a rare perspective in terms of how our land must have evolved over millions of years. See all this right before your own eyes! Many on my trip referred to this as an item on their "bucket list". Now, I completely get that. However, I want a re-deaux! Next time maybe with my entire family….maybe even look at a longer trip. Book your spot ASAP….there are a limited number of reservations available each year…..don't get shut out!